I came across this photo on the Internet. Genius. 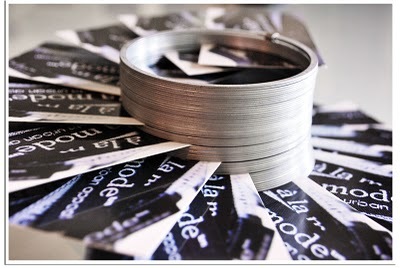 She used a Slinky to display her business cards and what an impact! See the post for yourself if you'd like at A La Mode Stuff. Tricky to make and even trickier to get a good pic! City Crafter. MAKE IT 3-D. Thanks for featuring my slinky idea. I love the Rubix cube card. Truly ingenious. It would be so fun to get in the mail. That is so fun, thanks for playing along with us at CCCB! That is a really unique card! What a great idea! How cute and clever is this???!?? I loved the rubic's cube growing up, although I never was able to solve it!!! :) Thanks for joining us at Lawnscaping! What a creative idea.. I used to love to play with the rubics cube.. Thanks so much for playing along with us at CCCB! So COOL! Thanks so much for joining us this week at CCCB! Holy cow, this is the coolest card ever! So creative!! I loved Rubik's cubes when I was growing up, although I never did manage to solve one--LOL!. Love the inside of your box/card, too. Wow what a cool card! Thanks so much for playing along with us at Lawnscaping! This is such a cool idea to celebrate an accomplishment! I'm going to try mimicking a rubik's cube some time. Thank you for the inspiration! 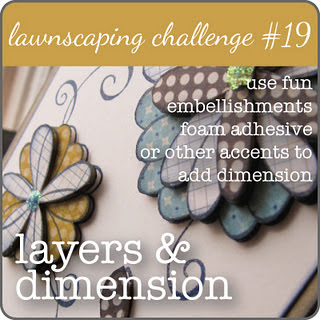 Thanks so much for playing along with us at the Lawnscaping Challenge! Wow what a fabulous creation - such a fun idea. I have the same trouble with my sleeping!